Celia Cruz, full-length portrait, facing front, on stage, 1962. 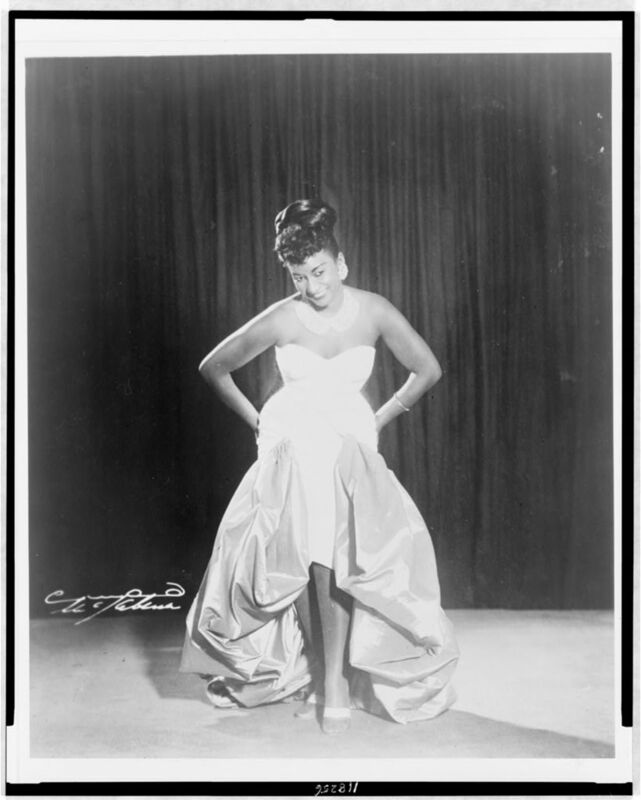 Celia Cruz, also known as the “Queen of Salsa”, was born on October 21, 1924 in Havana Cuba. She lived with her family father mother and three siblings and as many as fourteen other relatives. She would often sing her younger siblings to sleep. At this time, the career as a singer was unbecoming for a young woman so her parents insisted she get her education. After much persuading by Celia and her mother to her father, she enrolled at the National Conservatory of Music upon her high school graduation. There she studied music theory and voice and she continued to perform on Cuban radio stations such as: Radio Cadena, Radio Progreso, and Radio Unión. Celia was recruited to be the lead singer of La Sonora Matancera. She joined the group and on their tour to Mexico, the never returned to Cuba in fear of Fidel Castro’s regimen. From Mexico, she moved to Los Angeles where she got a contract with a night club that made her eligible for American citizenship. She met Pedro Knight who became her husband and later her manager. Celia Cruz is a strong, talent latina woman who has played a pivotal role in the world of salsa music in the United States. She held her title “Queen of Salsa” even though her recent passing on June 13th 2002. Méndez, Serafina Méndez. “Celia Cruz.” The American Mosaic: The Latino American Experience, ABC-CLIO, 2017, latinoamerican2.abc-clio.com/Search/Display/1326499. Accessed 12 Nov. 2017.